I love to try new recipes. 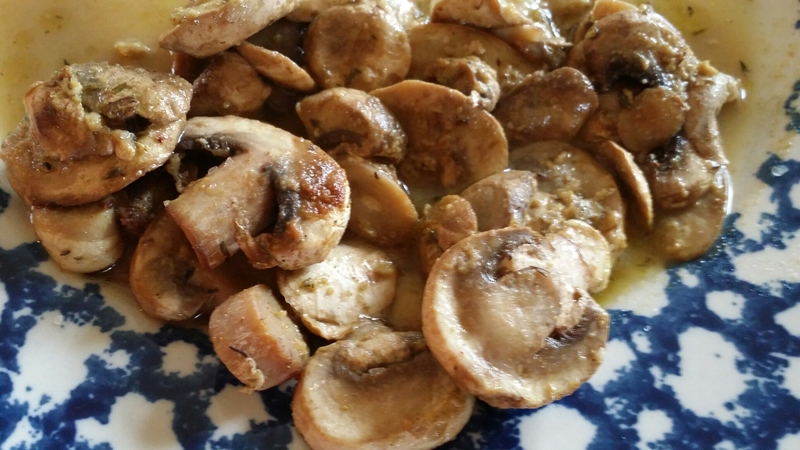 I was very intrigued by this mushroom dish and had it pinned to one of my recipe boards to try. I am so glad I did!!! This is DELICIOUS!!! 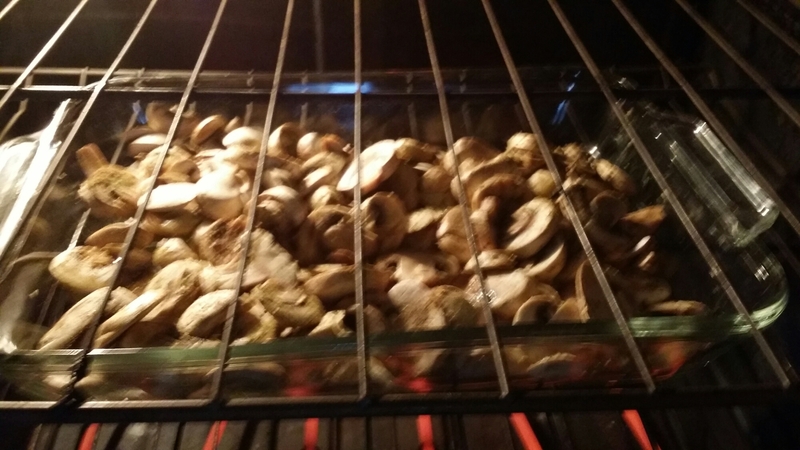 I used regular mushrooms and a big glass baking dish. Next time im planning to use a cast iron pan to get the bottom and edges really crispy. I ate every last bite for my lunch. Truth be told, I licked my plate! It was THAT GOOD. I think this is an excellent main lunch course or a savory side dish for a great rare steak. This is definitely one to add to the Thanksgiving menu. YUM! It took me about five minutes to toss it together, but that included getting out the ingredients. Try it! You won’t be sorry!! !